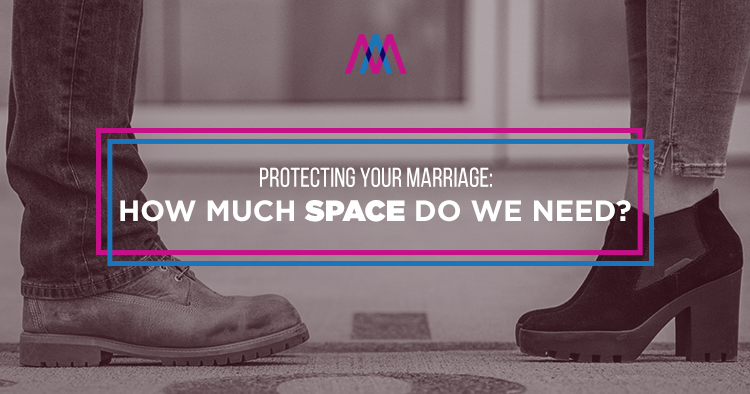 It can be a fine line when deciding how much space we need between our marriage and our families of origin. Often a couple will think that they are marrying just their future spouse and that they can ignore the family of origin. Very seldom does it work that way. Does my family place unreasonable demands on me and my marriage? Are there unhealthy patterns in my family that I don’t want to bring into my marriage? Does my family cause fights in my marriage? Do I wish I lived with my spouse on the other side of the world? That may seem harsh but in most cases, that one time will be all it takes to get your point across. Depending on your family, the boundaries you set may get tested and you have to be ready when they do. Boundaries need to be communicated. Getting space does not. It may just involve saying “no” more. The bottom line is that your marriage is more important than your family of origin and you must do whatever it takes to protect and grow your marriage.